Indie MEGABOOTH Eagerly Awaiting PAX East and GDC 2019 Submissions, Right Now! It’s that time again – when developers trip over one another to get their game submitted to next year’s Indie MEGABOOTH at PAX East and Game Developer’s Conference (GDC), respectively. Well okay, so that’s a blatant lie, as such things are done digitally nowadays, but if not for that, I’m sure there would be absolute chaos, everyone rushing to… mail their floppies? Yeah. Let’s go with that. That said, deadlines are still very much a thing for PAX East (Boston) and GDC (San Francisco) submissions, so I’m going to be brief – just this once. Those interested have until 11:59 p.m. Pacific time on November 9th. Plenty left I’d say, although if for some reason you miss that deadline, an additional fee will enable an extension to November 13th. Not bad. 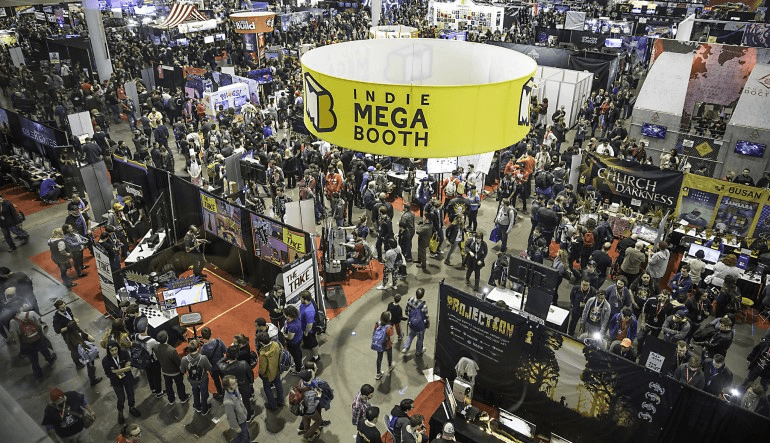 If you’re unfamiliar with Indie MEGABOOTH, we are a curated traveling showcase working to bring indie games to the forefront of the gaming community and eventgoers’ minds. Those more interested in simply attending PAX East (March 28-31) and/or GDC (March 18–22) will also have plenty to see, do and play, though with a curated 24-game lineup at GDC while PAX will be seeing its usual flood of games in the MEGABOOTH and MINIBOOTH (and we mustn’t forget about the TABLETOP area). Adding to that are talks, panels and what-have-you, of course, giving attendees plenty reasons to… you know, attend. Meanwhile, developers: don’t forget about that November 9th deadline, unless you want to pay extra to submit your game. Send those emails today, not tomorrow!